The second round of this year’s Sussex League saw us finish 2nd in a closely fought gala! 10 wins and 14 second places was enough to keep us just ahead of Hastings throughout the gala. The 9-11yr girls Ella Napier, Becky Smith, Ella Thornburg & Marissa Netherwood did the double winning both their relays. Individual wins came from Tom Hogg (2), Ella Thornburg (3), Becky Smith, Sam Munro & Ollie Iden. There were many PBs throughout the evening. Emily Pryke knocked almost 4 seconds off her 100 back – something she was not expecting to swim! Tom Clark knocked another second off his 100 fly – something he is working very hard on in training. Amber Brown improved her 100 fly by 1.4 seconds. 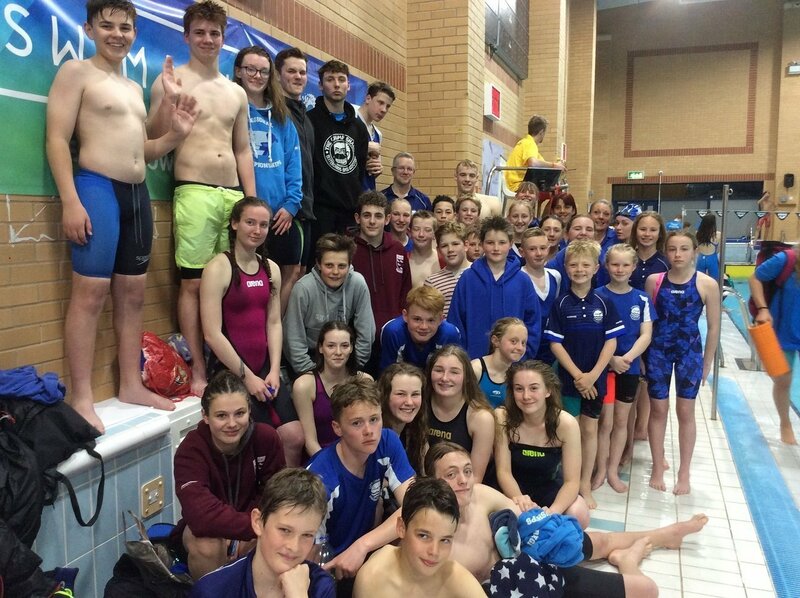 I could go on, but suffice to say there were many very pleasing swims – well done everyone, a very exciting evenings swimming! The final result was 1st Mid Sussex Marlins 489; 2nd Littlehampton 288; 3rd Hastings 272. Thank you as always to all our lovely helpers! With a special thank you to Simon Howell who ‘rescued’ Will R when his mum’s car broke down and got him to the gala on time!